Formed in 2010, Ship Captain Crew is a Chicago-based rock band that is turning heads with their organic sound. 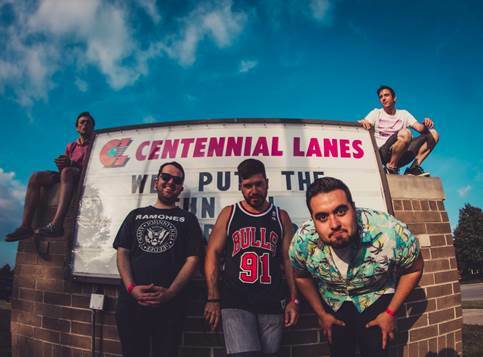 Since their start five years ago, the band has developed their music from an un-refined brand of pop-punk to a more mature sound that features honest lyrics and unique instrumentals. Ship Captain Crew’s departure from their song-writing formula helped them produce hits such as “Talking to Your Ghost” and “All I Knew”. The undeniable improvement with the release of these singles helped feed the band’s ambition and confidence which no doubt played into the development of more groundbreaking music. As Chicago became more familiar with Ship Captain Crew, so did other bands such as Real Friends and Knuckle Puck. The support from these internationally-known bands helped land Ship Captain Crew in ABC Studios with Seth Henderson, the same producer that worked with Real Friends, Knuckle Puck, and Forever Came Calling. The product of the band’s hard work is seen in their EP, House of Mercury, that was released this past August. House of Mercury features five tracks, each of which, despite similarities in genre, is characterized by strong vocals and powerful lyrics. My personal favorites happen to be “Notebooks” and “Against the Waves” because they both feature a unique sound and story that is hard to ignore. One of Ship Captain Crew’s many strengths is their ability to make use of dynamics in their music which is evident in these songs. At various times throughout the songs they will begin softer and gradually get louder which adds dimension to their vocals and more meaning to their lyrics. I also have to add that the instrumentals in “Against the Waves” are fantastic and the alternating soft and loud vocals feel like actual waves crashing into the shore. If I were you, I would familiarize yourself with Ship Captain Crew’s music now because they will no doubt be rising to fame with their distinctive sound soon. In the mean time check out some of their music here as well as their music video for “Notebooks” below! This entry was posted in Uncategorized and tagged against the waves, band, bands, Chicago, chicago music, forever came calling, house of mercury, knuckle puck, music, pop, pop punk, real friends, rock, ship captain crew. Bookmark the permalink.